Mount this handy beverage holder on your YETI Roadie, Tundra or Tank and keep your beverage within easy reach. 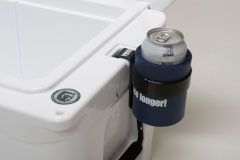 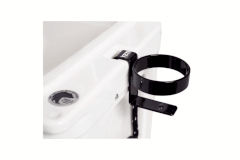 Whether you are on the boat or at the campsite, this holder is a secure and convenient caddy for your beverage. 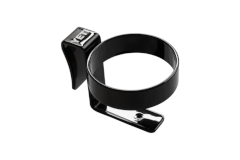 The holder is made of a heavy-duty, powder coated stainless steel which fits securely into the AnchorPoint Tie-Down slot of your Yeti.